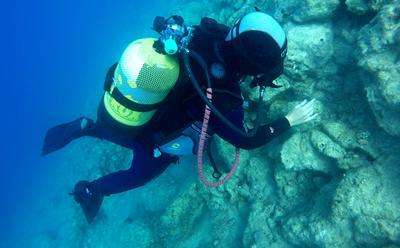 The expedition, directed by Neritan Ceka of the Albanian Institute of Archaeology and Peter Campbell of the University of Southampton and Albanian National Coastal Agency, has collected scientific data from one of the Mediterranean's most dynamic regions. A team of 14 international researchers worked with the Albanian National Coastal Agency (Agjensia Kombëtare e Bregdetit) with the overall aim of assessing the coastal environment and underwater cultural heritage. Peter Campbell comments: "We found indicators of ancient sea level change, Greek and Roman trade (4th BC - 7th AD), and contemporary environmental data. But one of the most significant discoveries was the larger submerged remains – prompting us to rethink the importance of Triport as a Roman harbour. "Albania has some of the most important waters in the Mediterranean. This coastline was vital for ancient trade and it continues to be significant as the convergence zone for species from the Adriatic and Ionian seas." Auron Tare, Director of the National Coastal Authority, says: "Albania's coastline contains rich cultural and natural resources, but it is under threat from unregulated development. Expeditions such as this help to identify at risk locations." 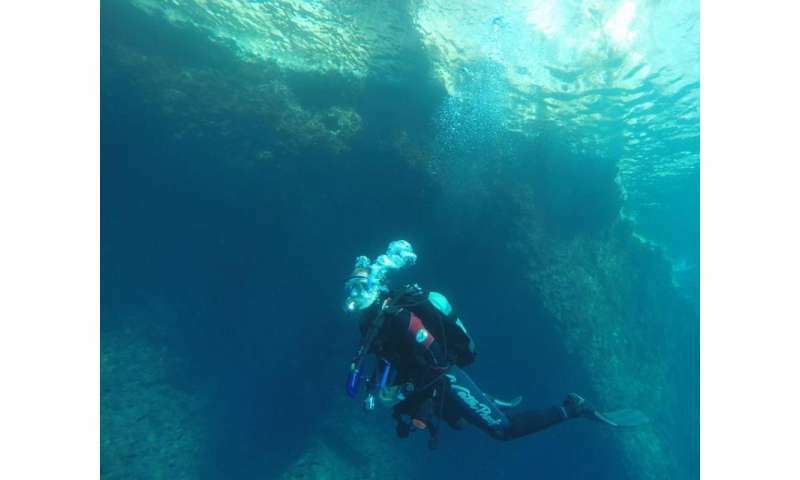 Ancient archaeological sites such as cities, harbour structures, and quarries around southern Albanian showed submergence up to 150 cm, due to a number of geological processes. Peter Campbell comments: "The Albanian coast is incredibly dynamic and we have found excellent indicators of sea-level change such as tidal notches to sunken cities and harbours. This lets us reconstruct the coast in the past, which tells us how different parts are changing through time and may change in the future."